With the recent news of Comcast, Universal’s parent company, making an all-cash offer for 20th Century Fox, things are getting mighty interesting between Disney and Universal. Chances are, shareholders will be able to vote on both offers meaning possession of the film vault and intellectual property rights of 20th Century Fox could go to Disney or Comcast/Universal at this point. Lots of speculation has happened in terms of what would happen if Disney owned 20th Century Fox, such as would The Simpsons Ride be pulled from Universal Parks? No, they wouldn’t. That deal is very likely in perpetuity and regardless of who owns 20th Century Fox, The Simpsons can stay at Universal Parks for as long as Universal deems them to be a powerful brand. Meanwhile, if Universal were to own 20th Century Fox they would outright own The Simpsons and thus, they no longer have to pay another company a portion on food, drink and merchandise sales. Even more interesting, they could reboot “Anastasia” and Universal could have their own princess franchise which could be used in their own parks and that, assuming a movie reboot is successful, could be very interesting indeed. However, without question, assuming Comcast/Universal does end up owning 20th Century Fox, what does that mean for Avatar? 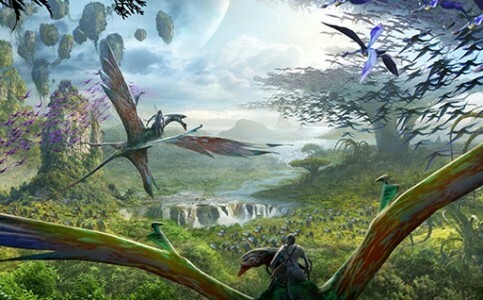 Can they tell Disney to shut down Pandora at Disney’s Animal Kingdom? The answer is a definite no. That’s not how it works. As much money as Disney has poured into Pandora (and most likely another version of it will open overseas in the coming years), there’s no way their contract for theme park rights are so flimsy that it can be taken away if someone buys out 20th Century Fox. Rest assured, Pandora isn’t going anywhere regardless of how this 20th Century Fox deal shakes out. This entry was posted in Disney, Universal and tagged 20th Century Fox, Comcast, Disney, Universal. Bookmark the permalink. Trackbacks are closed, but you can post a comment.